Our Lord’s Day at Heritage Church is dedicated to covenant renewal, the worship of Almighty God, the edification of the saints, and fellowship one with another. 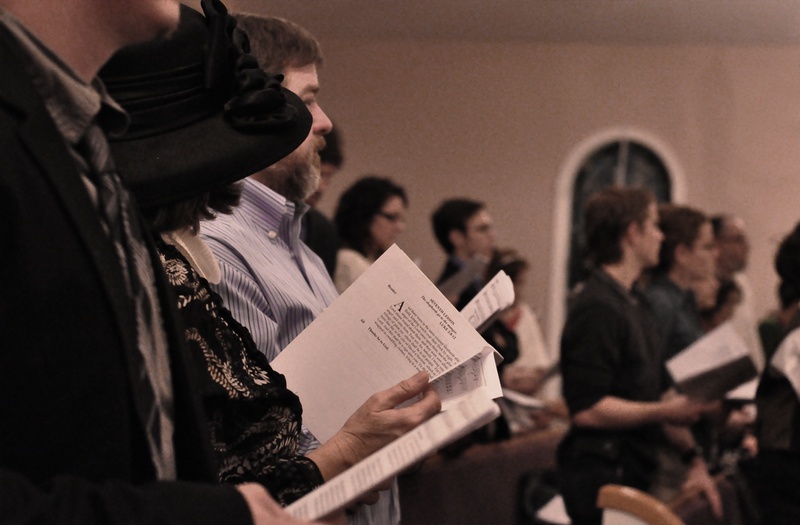 We hold a high view of worship, as well as desiring a recovery of the singing of the Psalms. 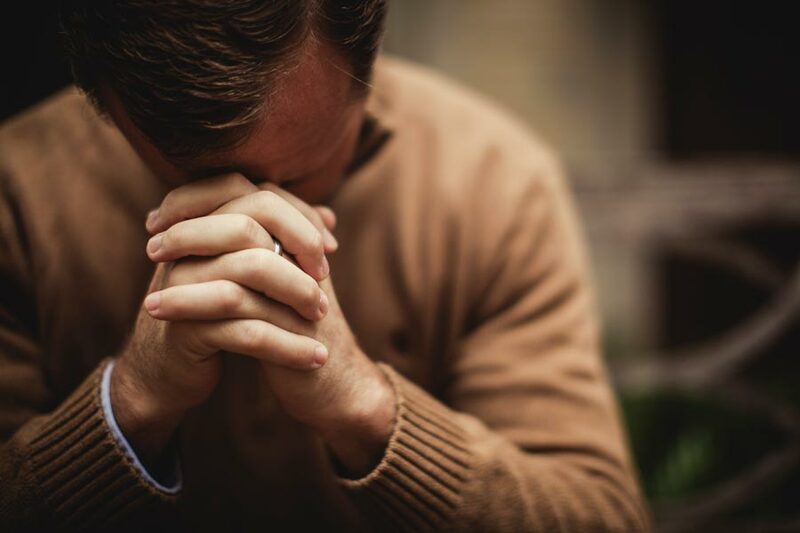 Corporate prayer is an important and necessary aspect of the Church of Jesus Christ. It is a means that God has given His Church through which His will is accomplished (cf. Acts 12:1-19; Colossians 4:2-4). Without prayer the Church will not know the will of God, nor have the spirit to obey it (Colossians 1:9-10). In prayer the Spirit of God works in our own spirits quickening us in our communication with God (Romans 8:26; Philippians 1:19). The word of God and prayer are two means of grace which are not separated and through which the will of God is made known, believed, and obeyed (Acts 6:4; 1 Timothy 4:5 1 Corinthians 2:10,14; Matthew 26:41). While it is important for Christians to pray, it is likewise important that they pray together. Jesus’ model for prayer presented in Matthew 6:9-13, otherwise known as “the Lord’s prayer,” uses the first person plural pronouns, “Our,” “us,” and “we” indicating that this prayer is prayed among, and with, others. Prayer is not only a means of grace to sanctify us individually, but also a means to sanctify us corporately and advance the kingdom of God (Colossians 4:12; 2 Thessalonians 1:11; 3:1). At Heritage, we believe that it is important, for the welfare of our own personal spiritual estate, the welfare of our homes, and the prosperity of Christ’s Church, that our members regularly gather together to pray for one another, our nation, and for Christ’s kingdom. Our morning worship service is our most formal time together where we worship God in godly fear and reverence (Hebrews 12:28). The Scripture informs us that all true worship is offered to God in heaven itself (Hebrews 12:22-24). When we come together to worship, we join the heavenly crowd already surrounding the throne of God praising Him. It is indeed a transcendent time for God’s people who still reside here on earth. This means that all our worship is mediated by Christ Himself. This is what it means to pray and worship in Christ’s name. Hebrews 2:12, in quoting Psalm 22 (which we know is speaking about the Lord Jesus), reveals to us that it is Jesus Himself who leads our singing and who is the true preacher during our corporate worship. So when we gather for corporate worship, we experience a foretaste of the glory that is to come. This time is to be carefully guarded against frivolity and carelessness in how we worship, so the Scripture of Hebrews 12:28 is rightly observed, “…let us have grace, whereby we may serve [worship] God acceptably with reverence and godly fear.” If our worship of God is not acceptable to Him, then what good is it to us? Our morning worship is the time where God’s people gather together, in the name of Jesus Christ, to corporately praise God and renew our covenant commitment with Him. Corporate worship with God is a dialog between God and His people. When we hear God’s Word read and preached, we hear God address His people, and when we sing and pray, we respond to God’s grace and goodness to us. Our morning service is the time where we corporately come together as God’s people to meet with our God to hear Him freshly pronounce His promises and will to us, and we in turn, recommit our lives to our Lord and King, in confession of sins, in praise and prayer, with thanksgiving and a renewed trust in what our Lord has provided, and with a commitment to obey what is revealed by the grace of God. In this sense then, our service is a covenant renewal ceremony. After we have confessed our sins and heard the Word preached, we enjoy sweet communion with our Lord by coming to the Table He has set for us. Therefore, each Lord’s Day we observe the Lord’s Supper, the covenant meal with our God (Matthew 26:26-29). Weekly Communion is not only appropriate for the occasion (for the covenant meal should accompany the covenant renewal) but is also the pattern of frequency the apostles themselves left for us to follow (Acts 20:7). During the morning worship service, we enjoy having our faith strengthened and our lives, both individually and corporately, sanctified as we utilize the means of grace that God has given His Church for this very reason. It is the time when we most enjoy the presence of God, and therefore, a taste of glory. Since the church is a covenant community of God’s people, it is appropriate that we share our lives together. Our Lord’s Day lunch is one occasion where we spend time informally, eating and enjoying one another’s company and fellowship. The Scripture reveals that the early church continued in such fellowship (Acts 2:42). When we sit down at the table each Lord’s Day, we not only share our food and fellowship with one another, but our lives. After lunch, we gather back together for an informal and interactive time of edifying one another in singing and sharing together, learning the doctrines and applications of the Bible, and engaging in a time of Q&A where men may ask questions in order to better lead their homes (1 Corinthians 14:26, 34-35). After our afternoon gathering, our formal time together is concluded. This does not, however, mean that the Christian Sabbath has come to an end. The whole day is set aside by God for our good and pleasurable enjoyment of Himself. Therefore, as fitting for the Sabbath, the rest of our day is spent in private devotion, family worship, rest, informal gatherings of God’s people together, evangelism, or works of mercy and ministry. We may gather in someone’s home for a cottage prayer meeting and fellowship, or we may meet in someone’s home for a festive celebration of a child’s baptism, or spend a quiet evening meditating on the Word and works of God. There are several reasons why we schedule our Lord’s Day this way. First of all, it provides better use of our time. Some folks will save an extra hour of driving time by traveling to the meeting house only once. Secondly, it provides a more conducive environment for building community among God’s covenant people as we eat and fellowship together. Thirdly, it provides cohesion and continuity in what we do with our time together. From our corporate prayer to morning worship to discussion over lunch and ending with an interactive time of learning and application, our day is not divided up into two separate worship services separated by the afternoon, but is focused, deliberate, and continuous. Fourthly, this schedule frees up our evenings from formal gathering to spend time in unique informal settings in one another’s homes.